Island Mazda near Jersey City, New Jersey proudly presents the 2017 Mazda CX-5. The engineers at Mazda crafted a number of forms to draw inspiration for the design of the all-new 2017 Mazda CX-5. A 155-hp 2.0-liter four, six-speed manual, and front-wheel drive come standard on the 2017 CX-5; a 184-hp 2.5-liter four is available, with six-speed auto and all-wheel drive. The 2017 CX-5 created superior safety that inspires confidence. Available i-ACTIVSENSE safety innovations gives you technology that inspires confidence. Using advanced technologies like milliwave radars and cameras to give you a sixth sense for safety, helping to alert you to hazards before they happen. Plus, Mazda’s available predictive i-ACTIV AWD system monitors everything from outside temperature to braking patterns to forecast when AWD might be needed to help deliver optimal traction before your wheels could clip. It’s another way the engineers at Mazda let you focus on what matters most: driving. The creators at Mazda rearranged the speakers to minimize door panel rattle and added extra sound-deadening features like perforations in the available leather seats to elevate your driving enjoyment. All this makes the all-new CX-5 remarkably quiet: ensuring your time behind the wheel is less distracting and more relaxing. And when you do want to turn up the volume, the available Bose sound system has you covered. The creators at Mazda considered hundreds of factors from cabin size and materials to seat positioning, for a custom premium sound experience you’ll have to hear to believe. Besides perfecting cargo space and passenger comfort, Mazda always focuses on the driver. Like every Mazda, the all-new CX-5 has a driver-centric cabin to maximizes the joy of driving. 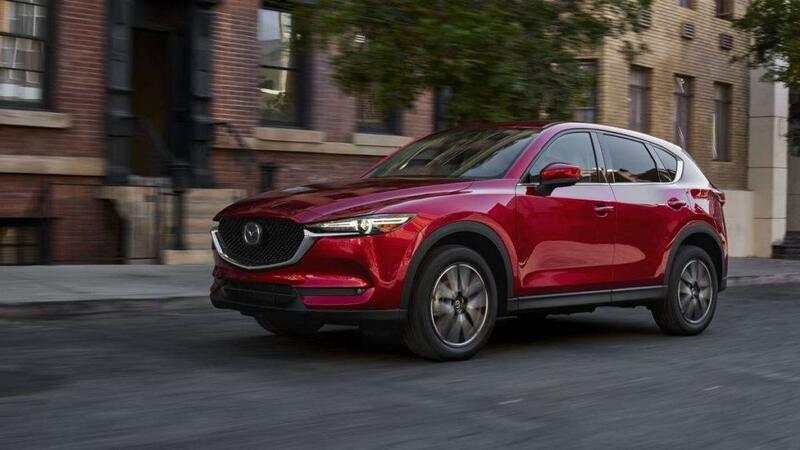 So if you are in the market for a new vehicle at the top of its class, head down to Island Mazda near Jersey City, New Jersey to test drive the 2017 Mazda CX-5 today.